Comics are awesome so let's discuss! I don’t really care about the Ghostbusters, but I picked this up because Kelly Thompson wrote it. And it’s HILARIOUS! I totally loved it. 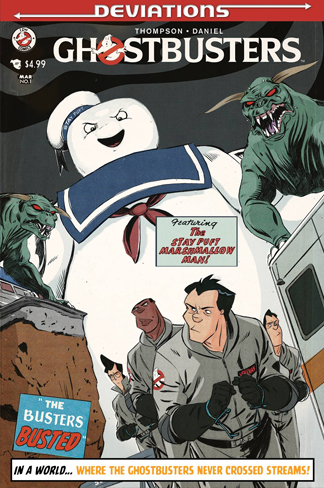 The Stay-Puft Marshmallow Man and his “slightly sentient poops” had me cracking up. Not all the Deviations series are worth it, but this one is fantastic.